ARABAL 2014, the 18th International Arab Aluminium Conference, had a successful three-day run in Bahrain with the participation of chief executives of all Gulf smelters and officials from various areas of specialisation in the aluminium and allied fields. More than 600 delegates from across the global aluminium industry were present. A highlight of the event was a panel attended by chief executives of all GCC smelters who spoke about their respective organisations, their plans and concerns. Among topics discussed at Arabal were the role of the London Metal Exchange and the situation in the aluminium market, the latter a presentation by Emirates Global Aluminum’s chief marketing officer Walid Al Attar. Other topics touched on the dynamics of alumina and refined bauxite deposits and sustainability and the environment. One of the talks related to education with the exciting title of “Tell me and I forget, Teach me and I remember” delivered by MBA executive director Cedomir Nestorovic of the École Supérieure des Sciences Économiques et Commerciales. Among the workshops was one on hedging aluminium risks on the LME while there were presentations on the outlook for the global aluminium industry, the importance of aluminium in the automobile sector and renewable energy in aluminium production. Robert Fig, senior business development executive, LME, noted that hedging risks was extremely important. “You cannot manage your business risks without managing your price risks successfully,” he said. He was referring to mining companies, smelters, refineries and consumers of the metal. “It’s not good enough simply to price your physical contract. You need to be able to understand what risks you are facing whether you are a producer or consumer and accordingly manage those exposures. A lot of companies do hedge and they find the experience very useful to their progress. Companies that are not hedging are speculating,” Fig said. He added that the attitude that hedging is speculating was erroneous whereas actually the reality was the reverse. 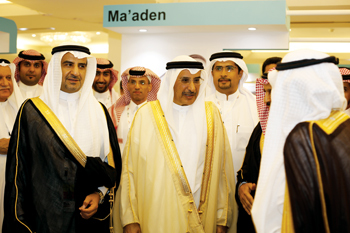 Earlier, Arabal was opened by Bahrain’s Deputy Prime Minister, Sheikh Khalid bin Abdulla Al Khalifa. He was deputed by the Prime Minister, HRH Prince Khalifa bin Salman Al Khalifa. Sheikh Khalid also emphasised that hosting Arabal – one of the leading Middle East aluminium events which witnesses the participation of industry leaders – for the fourth time pointed to the leading position of Bahrain, a pioneer in the industry since the 1960s and home to one of the largest aluminium smelters in the world – Alba. 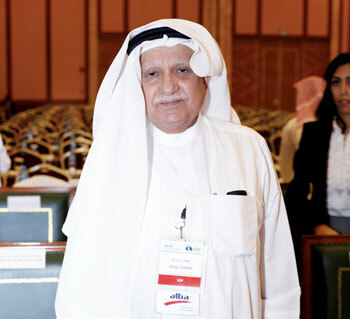 “The wise leadership provides immense support to the development of this industry and the enabling of Alba to compete globally and meet the growing demand on its products.” Sheikh Khalid referred to the gas allocation for Alba’s Line 6, which will add 400,000 tonnes to the company’s existing production of 913,000 tonnes and increase capacity to 1.3 million tonnes. The Deputy Prime Minister noted that the expansion would contribute to Bahrain’s national economy and create additional job opportunities for qualified nationals. GAC Environmental Awards went to Ma’aden for the smelter category and Midal Cables for the downstream, while the GAC Health and Safety Awards went to Alba for the smelter category and Gulf Extrusions for the downstream.